Welcome to the Holiday Inn Express Roslyn Manhasset Area, located on Long Islands beautiful North Shore. Our modern hotel is ideally situated near Hempstead Harbor and the historic village of Roslyn, which features a variety of charming shops and restaurants. Explore our picturesque community and the numerous local attractions, including, the Cradle of Aviation Museum, Belmont Park, Cedarmere historic home and garden, and the Science Museum of Manhasset. Enjoy upscale shopping at Roosevelt Field Mall, the Americana Manhasset and The Gallery at Westbury Plaza all within minutes of our hotel. Business and leisure travelers will enjoy our proximity to LIU Post, Hofstra University, St. Francis Hospital, Nassau Coliseum and nearly a dozen golf courses and country clubs. 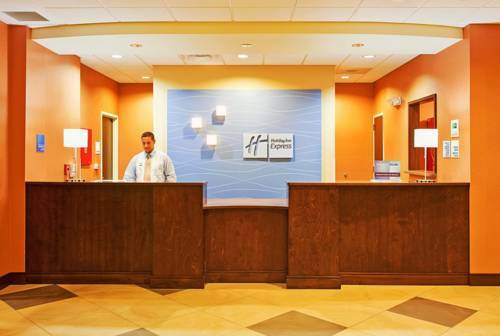 The Holiday Inn Express Roslyn - Manhasset offers comfortable and modern accommodations at an affordable price. Our comfortable hotel rooms are designed with relaxation in mind and feature flat-screen TVs, Keurig coffee makers, modern work spaces and free high-speed, wireless Internet. Enjoy our complimentary Express StartTM hot breakfast served daily and free parking. MP Taverna: There are several restaurants and bars that surround the Holiday Inn Express Roslyn. Next door you can find Bryant & Cooper Steak House that has a traditional bar experience. Also next door is Limani if you are looking for Mediterranean cuisine. Americana MallGucci, Louis Vuitton, Gap, Sephora, Lulu Lemon, Louis Vuitton, Michael Kors, Apple and much, much more. Nassau ColiseumNassau Colisum was recently renovated and reopened. Concert and trade show venue.